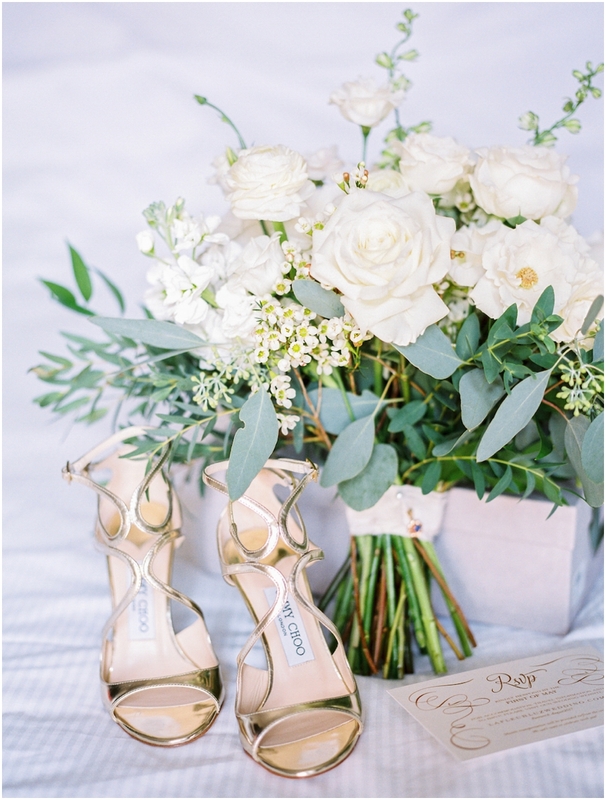 “Nelia and Brennan wanted to celebrate their wedding with a close group of family and friends, and decided on a destination wedding so the festivities could be spread over a weekend. 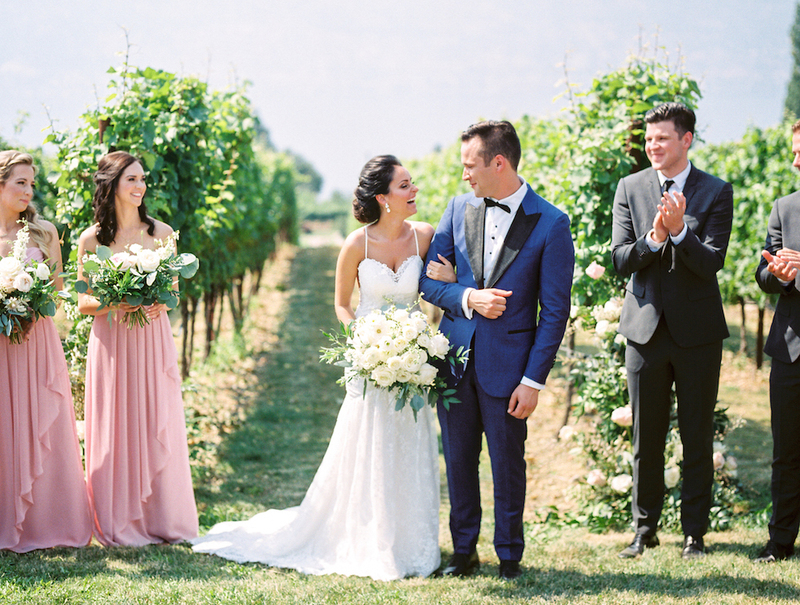 Their love of great wine and warm weather made Kelowna the perfect choice – I mean, who wouldn’t want to be married in a vineyard!? We arranged for shuttle transportation to take everyone from downtown Kelowna to the ceremony site at Ex Nihilo Winery in Lake Country. 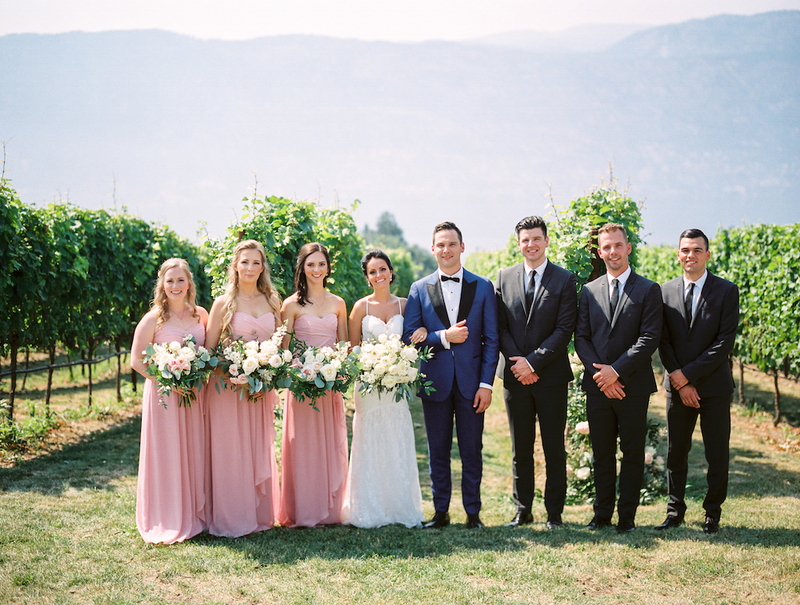 Forest fires in the Okanagan region made the view a bit hazy, but it was still a stunningly beautiful backdrop for their vows. Following the ceremony, guests enjoyed sparkling wine and passed canapés in the vineyard.